This is a classic noir detective story where the human characters are portrayed with animal faces and characteristics according to their natures. 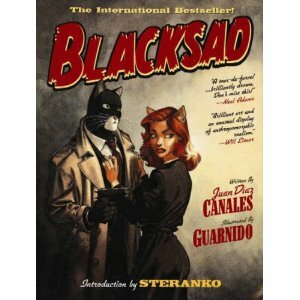 Originally published in Spanish then French, Blacksad refers to the main character, private detective John Blacksad. This entry was posted in Graphic Novel and tagged Juan Diaz Canales, Thumbs Up! by 365gn. Bookmark the permalink.